Every adult needs a bit of time to unwind but unfortunately, leading a busy life makes it hard to do so. Some resort to alcohol and good music while others prefer games, be it online, Dirty Dancing Slot for example, or offline, like a fun old fashioned foosball game. Regardless of what you prefer, it would be beneficial to your mental health to blow off some steam in a game room of your own design. You choose what you bring: board games, table games or video games. 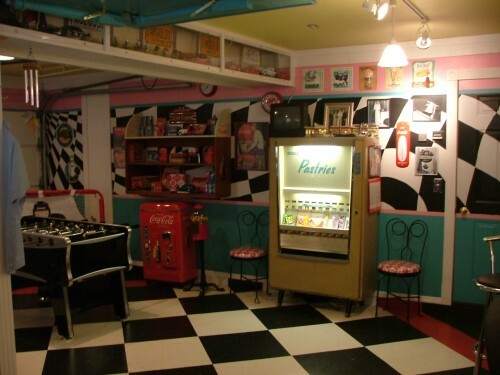 Assuming you have a basement, why not turn it into a veritable game room? Let us show you how it’s done. Just like with any other project, first you make a plan and then you carry it out. Ask yourself, what do I want from this game room? What do I like most playing? Do I want a place with all the available game consoles and a monster PC or am I the kind who would rather play pool and foosball with his friends? Hi everyone and welcome to Re-Adjust.co.uk! Before we get into details about house redecoration, I thought to first speak about what such a project entails and what costs to expect. Fortunately, doing all the work yourself saves you from spending money on an interior designer. Still, you have to prepare yourself for a significant investment of thousands of pounds. How much does a designer cost? Firstly, let’s see exactly how much you’re saving by not paying an interior designer. Fees reflect the experience of the designer, the location and type of project being undertaken. Some interior designers charge an hourly fee while others would rather get a percentage of the entire project’s cost. There also are some who prefer a single lump sum. Room by room project fees can start at £500 per room, including drawings and samples, while hourly rates vary between £50 and £150, some top notch firms charging even £200-£250 per hour.